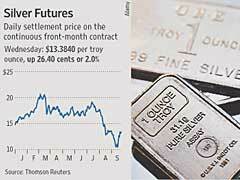 Are silver futures a safe investment or a big mistake? The answer will depend on who you ask, and some investors and professionals believe that the futures market offers a higher reward potential. Gold and silver investment activity has been rising steadily for the last few years, and in uncertain economic times precious metals have always been in high demand throughout history. This is not true with silver futures though, because these investments are considered high risk and extremely speculative. This speculation increases the chances that you could lose all of your investment capital in one market move, costing you everything. Precious market futures are contracts that oblige participants to buy or sell a set amount of metals at the specified prices in the future time period. Since it’s impossible most of the time to predict what the actual price of any commodity is going to be in the future, investors bet on the possible happening. In order to provide a risk spread, investors buy and sell short and long hedges depending on whether they are buyers or sellers. To start trading futures, one needs to open up a futures trading account with a brokerage firm who handles these transactions. Silver futures are not considered a good match if you are somewhat conservative where your risk level is concerned. This does not mean that many types of silver investing are not fantastic choices, just the futures aspect of this precious metal. There are many choices which are a lot less risky than the futures markets, although the potential return of any investment is usually linked to the amount of risk involved. Higher risks means higher rewards, if you do not end up with a loss instead. For most investors, it is better to stick with lower risk alternatives like silver or gold bullion because there is a lot lower chance of losing all your capital. Silver futures are basically bets on how the silver market will move in the future. The same is true with gold futures and other types of futures investments, and unless you are psychic and know what will happen at a later date it is very risky to bet on the unknown, or to risk your investment capital on it. That does not mean some investors will not choose silver futures but normally these are professionals of the precious metals market who know all the ins and outs of the business. For beginner investors, the risks that are incurred are far higher than any possible return, and these are normally losing investments most of the time.